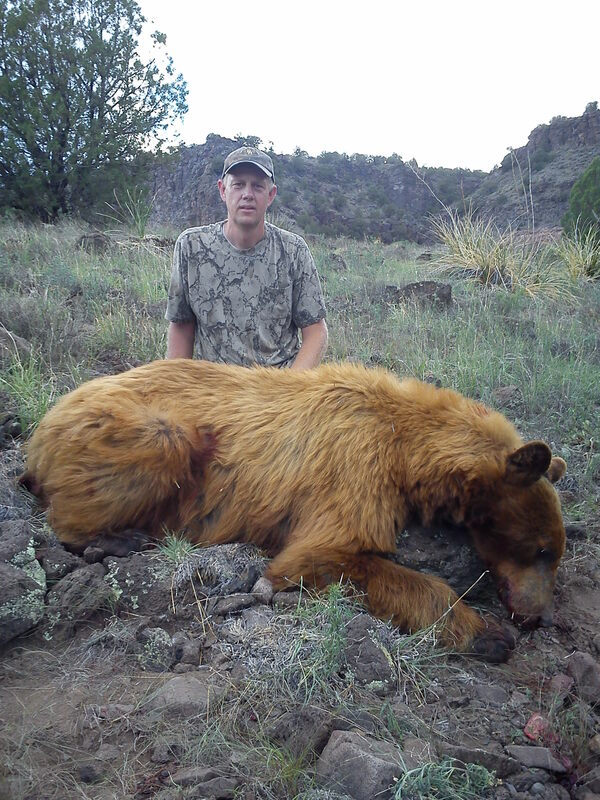 Our New Mexico black bear hunts take place in south western New Mexico. We specialize in spot and stalk, and calling technique hunts. 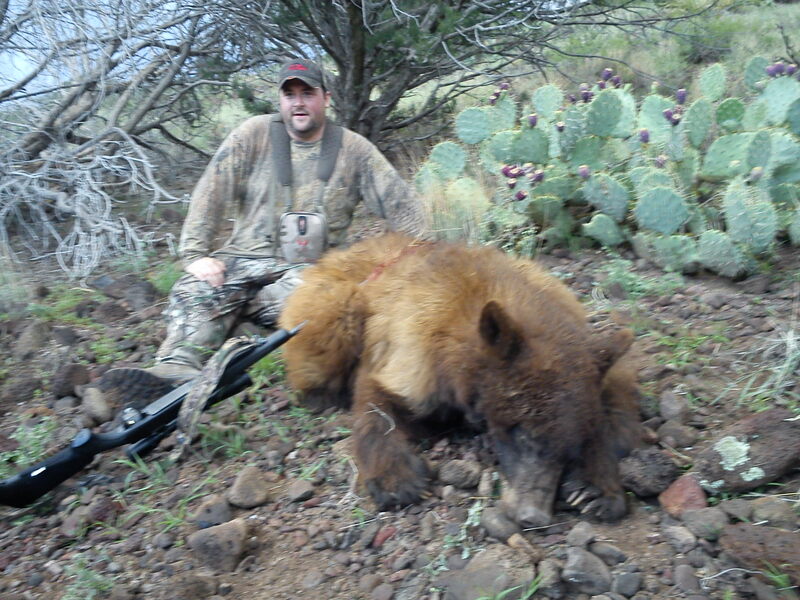 These hunts are exciting and give a different kind of hunt. 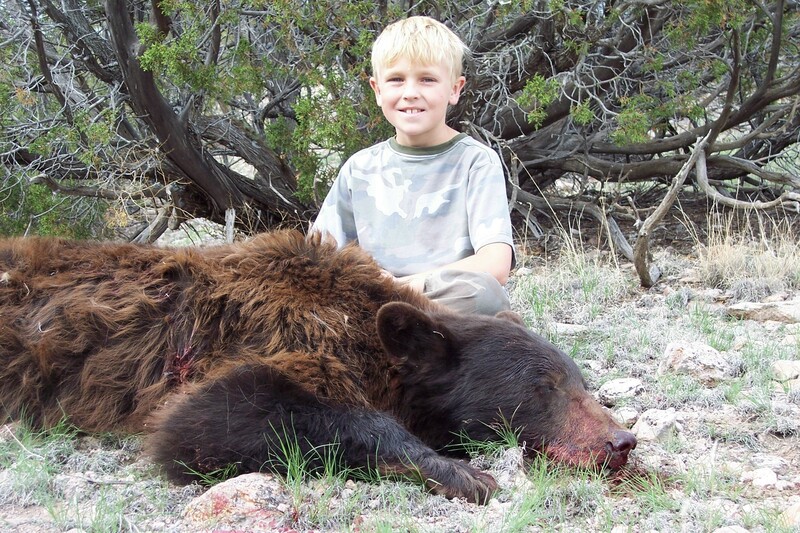 We have a high population of color phase bears ranging from blond, cinnamon, brown and black. We have 35-40% color phase bears. Personal items such as clothing, toiletries, etc. 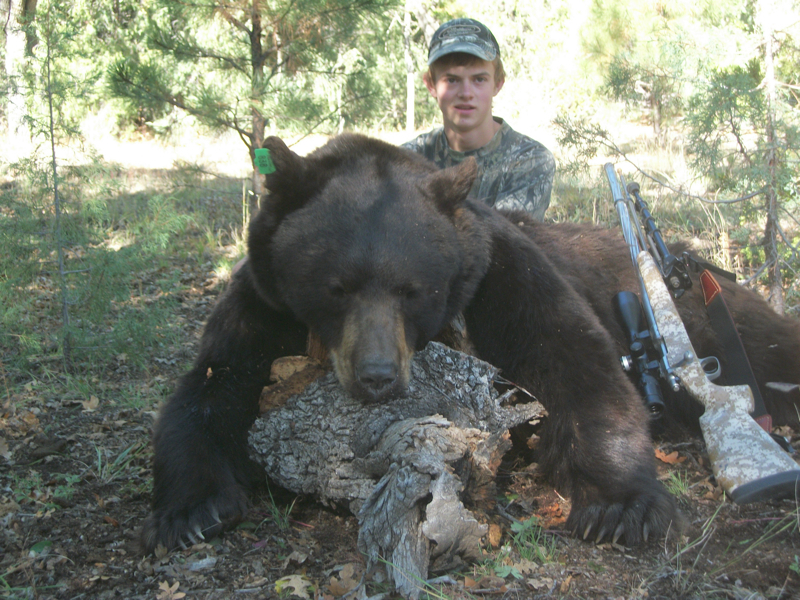 Rifle or bow, ammunition, hunting equipment, etc. 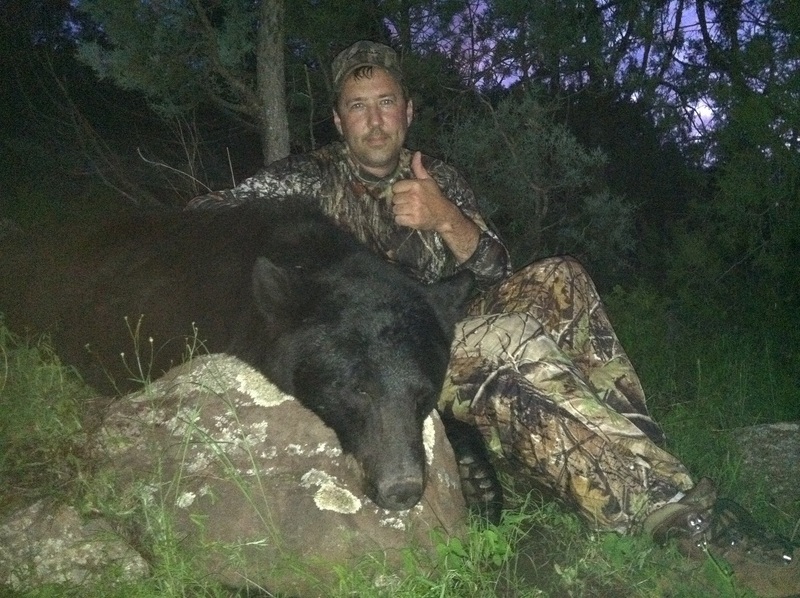 Archery Only Season: August 15- September 24 or until quota is met. Shooting Hours: One-half hour before sunrise to One-half hour after sunset. Payment: $1000 upon booking, balance due upon arrive in camp.